Belarus hosted quite a number of military exercises in 2016-2017. 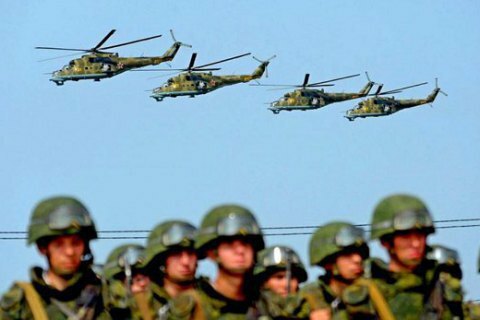 The Main Intelligence Directorate of the Ukrainian Defence Ministry views Belarus as a possible bridgehead for Russia's incursion, its representative Vadym Skybytskyy has told, according to Radio Free Europe/Radio Liberty. He said that Ukrainian intelligence was closely following all events held by Russia in Belarus. He added that in 2016-2017, Belarus hosted many combat training events for Russia units, including airborne ones. "Airfields were studied, the territory was studied, there were trips towards the Ukrainian border. We believe a threat from the north does exist," he said. In 2017, Belarus and Russia held a large-scale exercise, Zapad (West). It took place at seven training ranges and two locations in both countries. Over 10,000 servicemen took part in the exercise. The Baltic states and Ukraine, which border on Belarus, were concerned Russia may use Belarus as a bridgehead to attack Ukraine. Minsk and Moscow insisted that the exercise was "defensive" and that all Russian servicemen who had taken part in it left Belarus.